﻿ Seraphine London Kensington Gardens London. JIMAT di Agoda.com! Ada soalan mengenai Seraphine London Kensington Gardens? Terletak di Hyde Park, Seraphine London Kensington Gardens merupakan tempat menarik untuk memulakan pengalaman di London dan kawasan sekitarnya. Dari sini, tetamu boleh menikmati semua kemudahan yang bandar ini tawarkan. Dengan tarikan utama di bandar ini seperti Kedutaan Republik Azerbaijan, Kedutaan Republik Belarus, Kedutaan Mongolia berada pada jarak yang dekat, pengunjung hotel pasti akan menyukai lokasinya. Kemudahan dan perkhidmatan yang disediakan oleh Seraphine London Kensington Gardens memastikan penginapan yang menyenangkan bagi para tetamu. Hotel ini menyediakan akses kepada pelbagai perkhidmatan yang luas, termasuklah kasino, meja depan 24 jam, fasiliti tetamu kurang upaya, khidmat dobi, penjaga pintu. Suasana Seraphine London Kensington Gardens terpancar di dalam setiap bilik tetamu. televisyen skrin rata, penyaman udara, pemanas, meja, stesen dok iPod hanyalah sebahagian daripada kemudahan yang boleh didapati di hotel tersebut. Di samping itu, pihak hotel menawarkan aktiviti rekreasi untuk memastikan anda mempunyai perkara untuk dilakukan sepanjang penginapan anda. Apabila anda mencari penginapan yang selesa dan mudah di London, ijadikan Seraphine London Kensington Gardens sebagai rumah anda seperti berada di rumah sebenar. Surcaj kad kredit sebanyak 10GBP diperlukan semasa mendaftar masuk sebagai deposit jaminan untuk caj atau kerosakan semasa menginap dan akan dipulangkan semasa mendaftar keluar. Modern room, super clean. The bed is the most comfortable I´ve slept on! Breakfast is a bit poor, does not have much variety, specially if you have wheat intolerance, but the excellent location, good room and staff courtesy makes me come back here again. Good location. 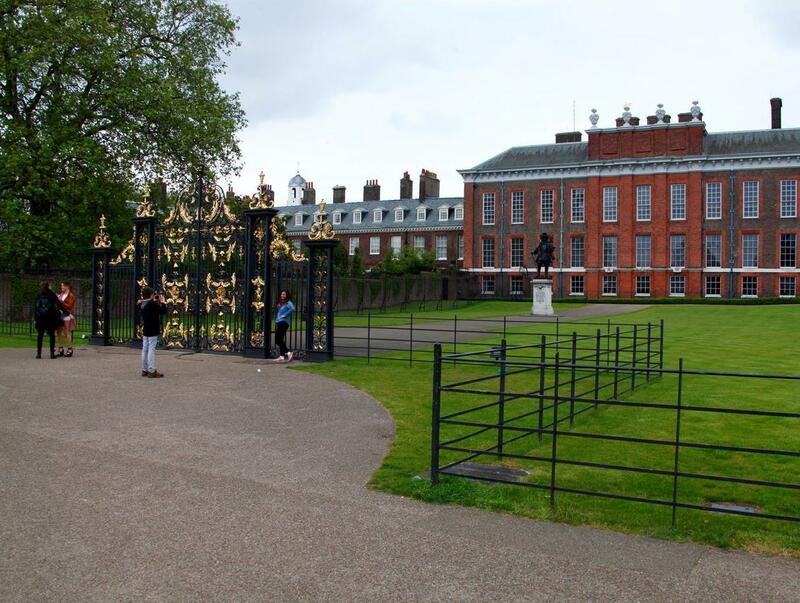 Minutes walk from tube and Kensington Palace. However bed is too old and too soft (Spring does not work) Bed desperately needs to be replaced. Walk up to reception (no lift) on first floor can be tiring especially with heavy luggage. When booking the only room available was a Junior Suite, this was slightly more than what I wanted to pay but due to being in the location I wanted went ahead. 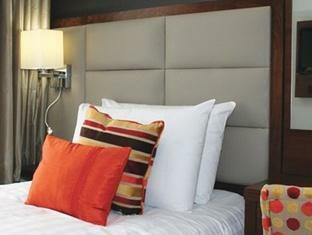 I have stayed in this hotel previously and found it to be a good standard for the price, however the room that is classified as a Suite I found lacking and not worth the extra cost. Most places I have stayed that advertise Suites have a sitting area, this room however had a single bed put in it also, which meant although they did squeeze in a chaise longue it had to be put right at the side of the double bed making it very difficult to get in and out. Also there was no plug for the sink which made it difficult for my husband to shave and the mirror lights in the bathroom were constantly blinking on and off. The bathroom in general looked in need of refurbishment. In truth I felt that the room set up was more for making money with having the single bed in it at the expense of the guests comfort, they would be better of taking out the chaise longue if they want to keep the single bed. Everything was fine and they were very helpful. The hotel entrance was hard to find, I walked past it twice before I realised where is was - I would suggest some kind of street level signage would be helpful. Staff on check in was very polite but realy should smile to greet their guests and should go over the booking as part of the service. Although he could not offer us a twin room, he provided us with an upgrade to a fmaily room which was a lovely gesture and was much appreciated. Unfortunately the lift was exceptionally slow and we ended up having to walk up the 3 flights of stairs with our heavy cases. At one point during my stay I managed to get in the lift but quickly regretted it as it got stuck and the lights blacked out; there is no safety door either which was worrying if chidren had been in there. The room had a lovely big window and plenty of space. The windows also opened which for me is a bonus as it is always nice to have fresh air in the room as opposed to air conditioning. My only concern was that there were no safety features and being a family room, if there were children there they could easily climb up on the side and fall out of the window. I was disappointed with the bed, the mattress felt worn and saggy which made for a bit of a bad back in the morning, but since I was only there for one night it wasn't a major issue and I realised that the staff couldn't do much about it anyway. I don't know how this is a 4 star hotel. You expect a certain standard of facilities and safety which unfortunately the hotel did not meet and the staff could not make any better. I think the company should be looking in to this as they have clearly overlooked some standards and it is not for the staff to be sorting. The hotel was in a very good location, and the standard of cleanliness and staff care was very good. Over all a good stay, but not a 4 star standard. I gave the food a 1 because I didn't eat there. A "not applicable" should be available!! 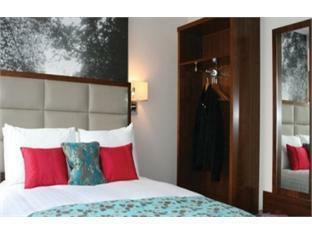 The location is perfect, very near to tube station and just Infront of a bus stop. A lot of cafes, restaurants and mini marts nearby. Room for 3 people is spacious. The aircond wasn't functioning properly. We have to call to get it fixed but it was not functioning again the next day. Breakfast is just a simple one, bread, cheese, ham, coffee, juices. Was OK, nothing Special. Disappointing breakfast and Hotel facilities. Rest everything was fine but was really surprise with the Behavior of Manager in the Hotel. I personally find him rude in many place it was like he is letting me stay FREE of cost or something. The reasons best known to him. The hotel was comfortable although the air-conditioning struggled in the warmer weather. The rooms are small with little room around the bed (which is huge!). Convenient location. Just what we needed. Great location for our night out and for shopping and the museums the next day. The amount of dirtiness in the room and toilets was unacceptable, it was obvious that the toilet was not cleaned after use as there were dried drops of wee on the edge, the toilet brush had remains of faeces. I actually went to have a shower at a friends house as it was impossible to enter into the bathroom as I would have vomit. The room was dusty but good looking. A shame as it seemed they have recently spent a large amount of money in refurbishing. Our stay was fine. 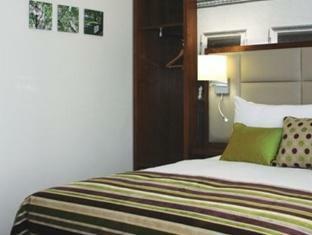 It is a budget hotel on Kensington street not far from the tube. Easy access to busses as well. One issue I had was that the elevator doesn't go all the way to the ground floor and reception is on the first floor. For those of us from across the pond, the ground floor where the lobby typically would reside is floor zero. The reception was on one, so you had to lug your bags up one flight of stairs. There is no bellman to meet you, it is a rather small non descript entryway. Short of that, we got what we paid for and it was a decent hotel for the price. I read other reviews about the door to the hotel being hard to find...it is!!! Once I found it and got into my room, I was very pleasantly surprised. The room was not tiny, it was clean and I had a park view. It was only one tube stop to get to Earl's Court exhibition center, which was very convenient. The best part was the park across the street. If you want to go running, looping the entire park is a great 4 mile run! I got a great deal on Agoda and if I can get another great deal, I will book here again next year. Free internet! Free continental breakfast! Lots of pubs/restaurants right at the doorstep.